Survey crawls are run about twice a year, on average, and attempt to capture the content of the front page of every web host ever seen by the Internet Archive since 1996. Subscribe to menooB by RSS! Installous 3.1.2 has a built-in feature that allows you to sync apps you’ve installed on your iPhone via Installous to iTunes. If you have AppSync installed before, you don’t need to remove it. However, the built-in sync feature isn’t perfect yet and you need to try adjusting the settings to see what works for your iDevice. In some iDevices, particularly on older iPhones, iTunes Sync works by turning the Native Installation off. 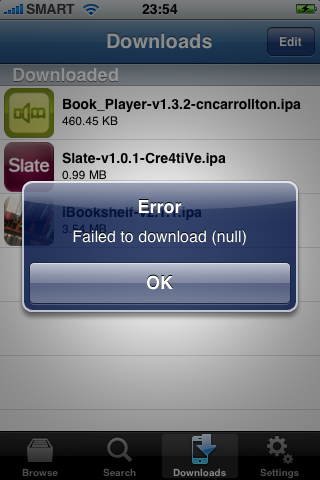 Okay, so I finally experienced the “Failed to download (null)” error after upgrading to Installous 3.1.2. This error message pops up when the iPhone connection failed to receive the requested data, so it has something to do with your connection to the repository you’re connecting to. Also make sure you have installed an official app from the AppStore and have synced it to your iTunes library before using Installous. What I do is just to keep on downloading the app until it works. I managed to download one app after four tries! If there are multiple download repos, try the others. Btw, I find it faster downloading the apps from AppTrackr and copying the .ipa files to iTunes before syncing to my iPhone. Use this method if you can’t download directly to your iPhone. Still having problems with Installous? Install Installous v3.1! Update: Installous 3.1.2 has been released to Cydia. Check out also what to do with the “Failed to download (null)” error. It’s been a while since I did some tweaks on my iPhone since everything seems to be working smoothly and I have been caught up with some other tasks that needed more attention. I have managed to stay away from iPhone OS 3.1.3, preserving 3.1.2 in all its functioning glory. Your iPhone needs to have a firmware that is at least 3.1 in order to install Installous v3.1. What caught my attention though is the unusual hits my last article on Installous is getting… displacing my Hackintosh articles at the top of the pageview chart. So I did a little investigation and found out that many are still having problems installing installous, not to mention the rapid growth of iPhone, iPodTouch and iPad users who decided to jailbreak their devices and take advantage of the great Cydia apps. Many things have changed since my last article on Installous; the main one being Appulous, the site that provides a list of crack apps and links where to download them, has been changed to AppTrackr. The good thing though is that the change is transparent to users where the only thing required is an update of the Installous app from Cydia. If you don’t have any old version of Installous on your iPhone, please scroll at the end to learn how to install it. Here, it shows that I still have the old Installous v2.0.4. A quick scan for changes in Cydia shows I have four essential upgrades. Do those upgrades first by tapping on “Upgrade Essential”, after which, tap on the “Confirm” button. Your iPhone will reboot so the changes you made will take effect. Now, go back to Cydia which will automatically scan for the other available upgrades. If you have an old Installous app installed like I did, it will include it in the list. 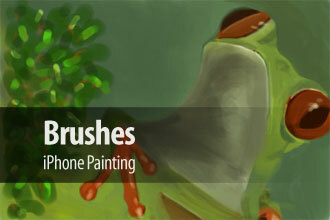 Tap on it and it will prompt you to install the latest Installous version (3.1). Click OK to install. Once installed, your iPhone will again reboot. Tap on the Installous icon on your screen to launch it. Test by downloading an app. Install and run the app. If it works, pat yourself on the back and smile. Add http://cydia.hackulo.us/ to your Cydia sources list on your iDevice. If you haven’t already installed an app on your iPhone from the Apple App Store (a free app will do), install one now. Open Installous and Download an app. Install only after downloading. Check to make sure the app is working. 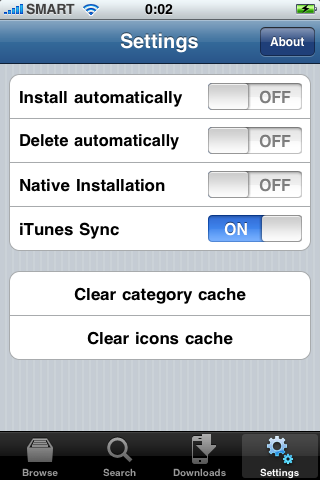 To sync cracked apps to iTunes, install AppSync for OS 3.x from Cydia. Reboot. Installous is relatively stable, but there are a couple caveats which you must take note of. Native Installation has a small bug in which installations report completion a little early on older devices (iPhone 2G, iPod 2G, etc.). More specifically, older processors. We’re not entirely sure why yet, and it’s the reason why were we absurdly delayed in the public release. It is the default installation option, since most of our users are on newer devices. But if you’re on an older device and you’re installing a huge app, we suggest changing to bash installation in the settings tab by turning off native installation. AppSync is required for this. Either 3.0, 3.1, 3.2, or 4.0 (which doesn’t exist yet, but still). It seems like the first time some people run it, it will not connect to apptrackr properly or something. Restart springboard or your entire device, and the problem shouldn’t persist. We’ll figure out what’s wrong later. Decreasing Fans, a Facebook Security Breach or a Major Bug? Since Apple recently released the new iPhone OS 3.1.2 firmware, the iPhone Dev-Team likewise released an updated jailbreaking and unlocking tool–PwnageTool 3.1.4. It supports the iPhone 3GS OTB, iPhone 3G and 2G, and the iPod Touch 1st and 2nd Gen. PwnageTool is for Mac OS X only. This tutorial is for those who already have a jailbroken iPhone OS 3.0 and upgrading to iPhone OS 3.1. If you have the first generation iPhone (2G), you can use this tutorial to jailbreak and unlock your phone. Where is “System Events.app” in Snow Leopard? After upgrading to Snow Leopard, the system may ask you for the location of System Events.app. You can’t find this file using the Spotlight. In my last post, “MacBook Pro Hard Drive: S.M.A.R.T. is Failing!”, I discussed how I backed up and replaced my MacBook Pro hard disk that is about to fail using SuperDuper over a networked PC, a Phillips and Torx screwdrivers, and a simple video tutorial. Macbook Pro Hard Drive : S.M.A.R.T. is Failing! I was about ready to upgrade my 15″ Macbook Pro from Mac OS X 10.5.8 Leopard to Mac OS X 10.6 Snow Leopard when the Disk Utility on the OS displayed the name of my hard disk drive in red letters. 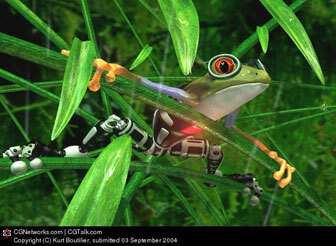 Sure enough, the S.M.A.R.T Status indicator says “Failing”. The iPhone Dev-Team thinks that it has finally fixed the vast majority of problems in unlocking the iPhone 3G and 3GS with Ultrasn0w version 0.9 that they posted tips for those still having some problems. First time I heard this song and it touched me; after all, I did have my fair share of fighting a senseless civil war. Watch the video on the right (if you can’t see it, click here) and follow with the lyrics below. Note: There’s a new Volume Boost app in Cydia from ModMyi.com that they integrated with their popular Winterboard app. I tried it but I didn’t notice any change. So I just reinstalled the one from Fishbone’s and everything’s good again. The 40 MB update is available via Mac OS X’s Software Update.